Our shiitake logs have fruited again. It’s taken a few years for them to find their rhythm, evidently it’s early spring and early fall. This is about half of the harvest. We’re investigating how to preserve them because you can only eat so much risotto! They look yum! 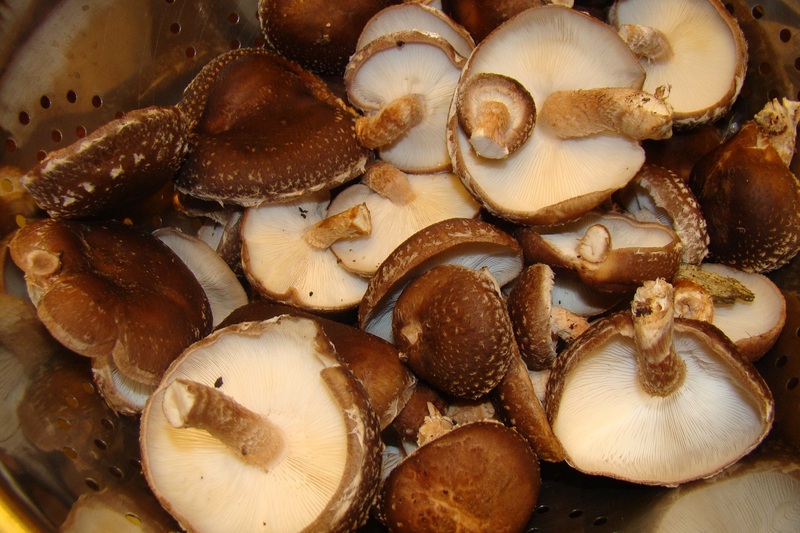 I make mushroom barley soup, and I bet these would be just out of this world in it. save some for me. When I make french onion soup, I always toss some in there- yummy! Simmered with soy stock and frozen is a pretty good way.